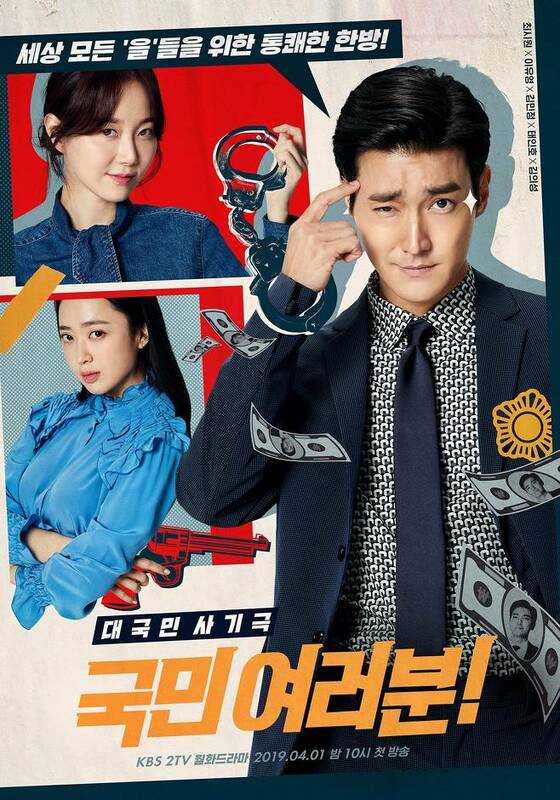 Takes over KBS2's Monday & Tuesday 22:00 time slot previously occupied by "My Lawyer, Mr. Joe 2: Crime and Punishment" and will be followed by "Perfume" June, 2019. First still images from KBS2 drama series "My Fellow Citizens." popcorn and coke Apr 17 2019 11:57 am SPOILERS AHEAD: as expected only the first few episodes were good. 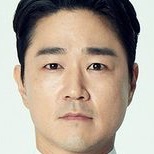 Episode 9 and 10 only felt like filler episodes with the car chase and looked like a really dumb episode because Jung Kook did all this work just to back out because he didnt think about the possibility that Hoo Ja will tell about his real profession on his wife when she already threatened to kill them in the first place also he should be smart enough to know this because he's a con artist that knows his way around thats why he has a clean police record. the next episode 11-12 also felt like the comedy aspect of this drama was kinda forced, with how Mi Young came to his office and had his fellow con artists confined in the cabinet and Jung Kook's new 'gang' interactions with each other when they ordered take outs. yeah the script is really poor especially the part on whose phone was it or the spilling of coffee. this was such a good drama at the start but i dont think so anymore. the comedy is forced and am only watching because of Hoo Ja, the actress is really holding up the character really well. Ehhhhh Apr 16 2019 11:33 pm Not really sure how I feel about this drama. Am a fan of Lee Yoo-Young but the story line is falling real flat for me. Already episode 12 and I feel 0 connection between the two mains. If they want me to keep watching they need to do something fast. I'll give it another week or two. uwow Apr 16 2019 6:48 am simply great. storywise, this drama is really unique. the romance/drama and comedy proportion is just perfect. Dani Azroy Apr 13 2019 9:51 am Lee Joo Myoung remind me of Shu Qi very well..
Farah Izzaty Apr 11 2019 12:49 pm I love love love this drama. At first I watched just because of Siwonnie (im an ELF!). 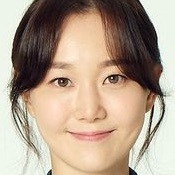 But then i noticed the co star is Lee Yoo Young which she managed to make me fall in love with her acting. I didn’t expect she can pull through the act because i tot she’s soft and doesnt fit the character but then after the fight scene in ep 5, i felt more, more and more in love with her ??? Oh, and i hate min jung cuz i think she’s being too over in every drama she act. This is just my opinion so of you dont agree with me just skip mine ✌? Grey Apr 11 2019 2:02 am Lee Joo Myoung looks like Jun Ji Hyun. ? Ameni Apr 06 2019 4:28 pm I love this drama so much already??? king Choi Siwon ? shiki Apr 04 2019 6:52 pm It feels like Mr & Mrs. Smith <3 waah Siwooniieee Fighting! Nurulfdh Apr 02 2019 8:57 am Siwon oppa fighting. Elf always with you. ???? Tata Apr 02 2019 8:13 am Fighting!!!!! Dan Apr 02 2019 1:09 am Siwon's????? Marie Mar 04 2019 1:10 pm Siwonnie!! Mrs. Park Jan 13 2019 6:03 am Another Mr. Choi's drama! I'm getting excited! Ferodith Dec 23 2018 2:31 am Can't wait to watch another Lee Min Jung performance!! Neea Dec 08 2018 6:56 am Kim Min-Jung, don't like her in Man to Man, but LOVE her in Mr. Sunshine. elpeu Nov 28 2018 4:57 pm ELF hereeee for support~ fighting Ma-Ssi!! Miss fairy Nov 28 2018 5:55 am Ah! 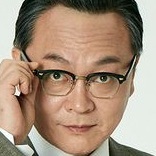 Can't wait to see this Mr. Kind hearted on drama again! Ginali Nov 27 2018 8:35 am Waiting forward for this drama. Although when the first time i read the plot didn't seem interesting. I believe in the writter nim! He always make a great plot. Just like squad 38. I think it'll worth to watch!!! ParkAngel Nov 27 2018 7:12 am I can't wait to see him acting again ? fighting ?